Cozy apartment has two bedrooms, one bathroom, balcony, kitchen and living room, so this beautiful apartment can comfortably accommodate six persons.Kitchen in apartment is equipped with most of kitchen appliances. Free parking space,free internet and SAT/TV. Grill are at guests disposal. 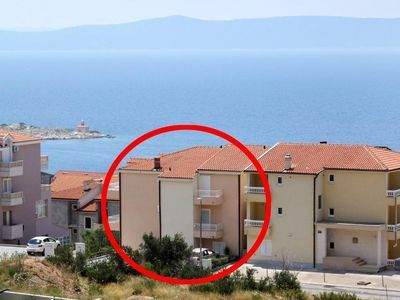 Apartment located in Sukošan, just 30 meters away from town center and just 50 meters away from the sea. This property is one of favorite choice by guests which travelling in Sukošan near Zadar according to independent reviews around the web.